Managing a website for a city, village or town can bring about many challenges, but Smart Interactive Media has many website applications for municipalities that can make communications between citizens and their local leaders much more efficient. 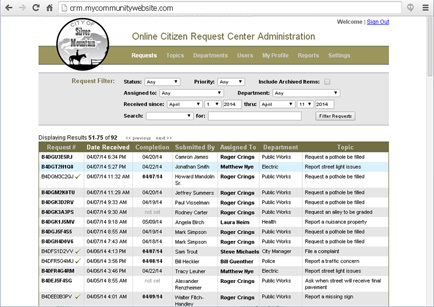 If you manage a city, village, town, or other local government, take a look at our online municipal applications for integration into your website. 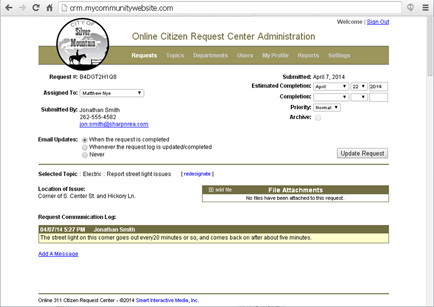 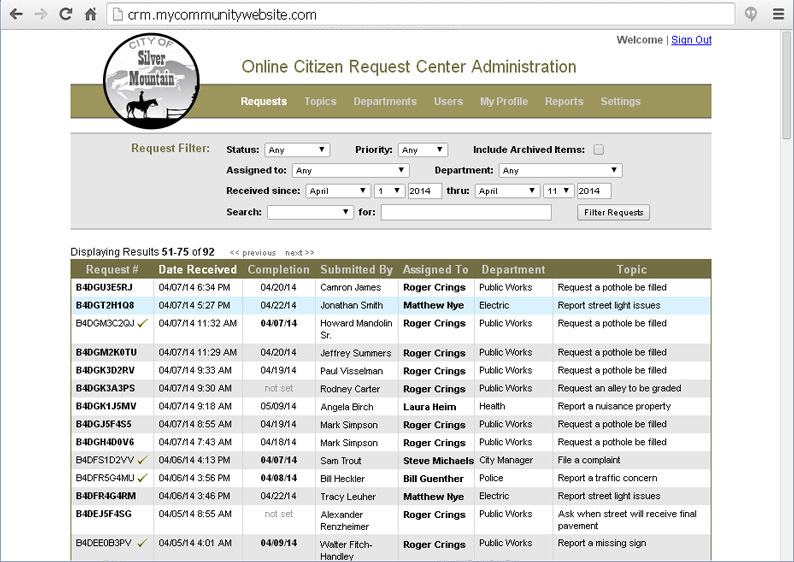 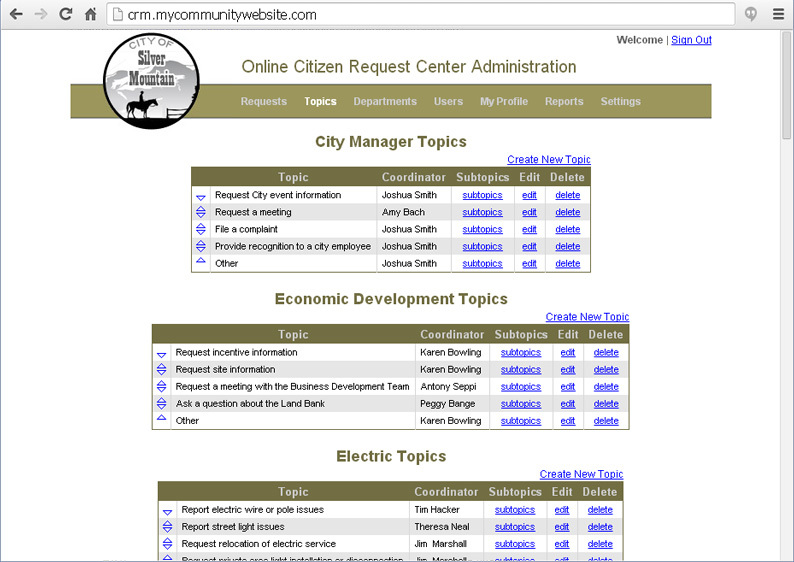 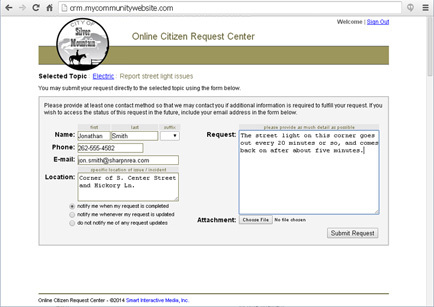 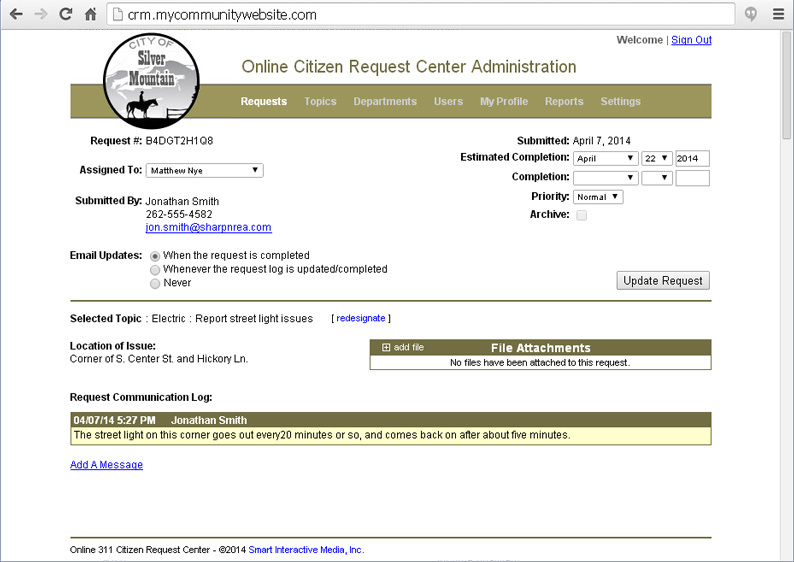 The Citizen Request Management System is a tool that municipalities can use to receive alerts from citizens, track progress on actions taken, and receive citizen feedback. 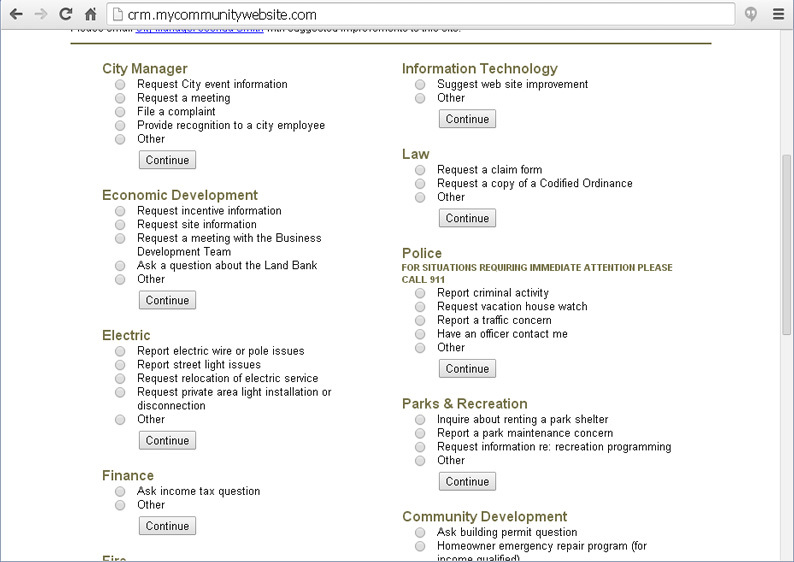 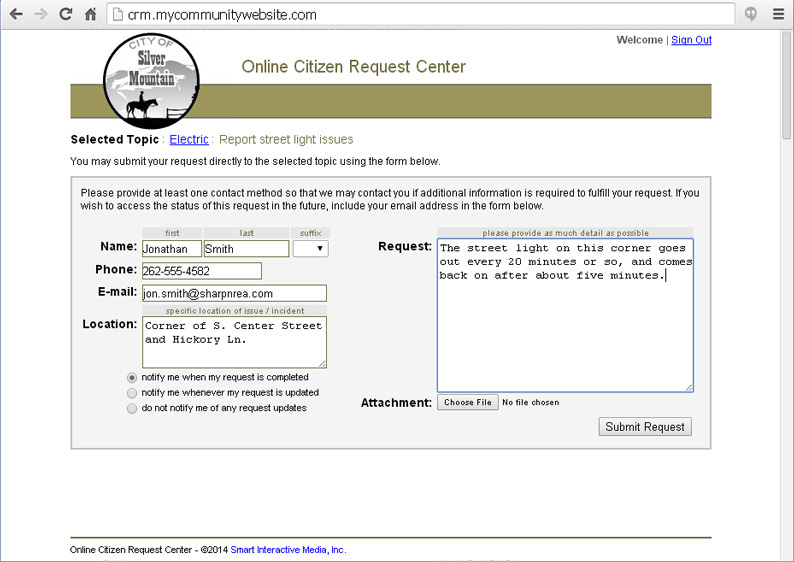 Allow your citizens to interact with their local government and make the community a better place by reporting concerns. 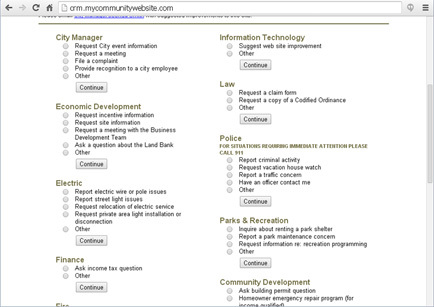 Here are some of the features of this municipal communications system.